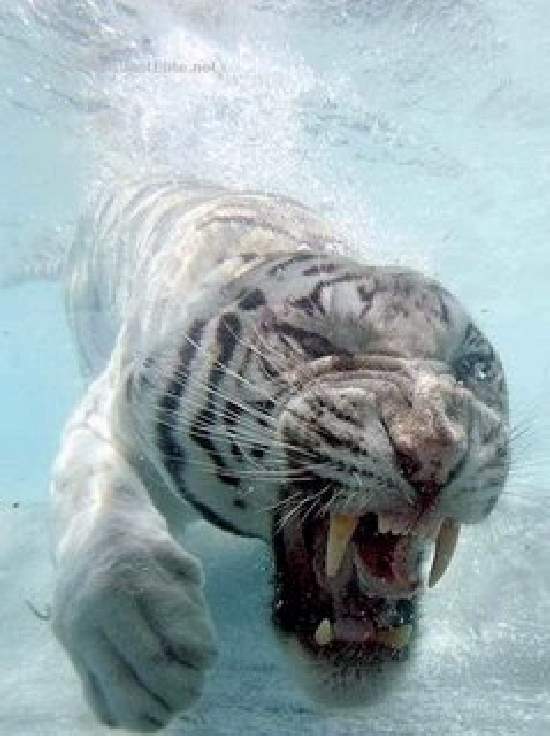 ShangralaFamilyFun.com - Shangrala's Odin The White Tiger! Odin is one cat you just won't be able to shake by jumping into a body of water. 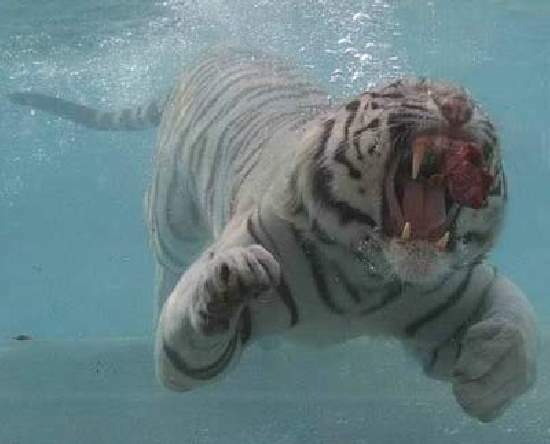 He'll gladly jump in right after you! 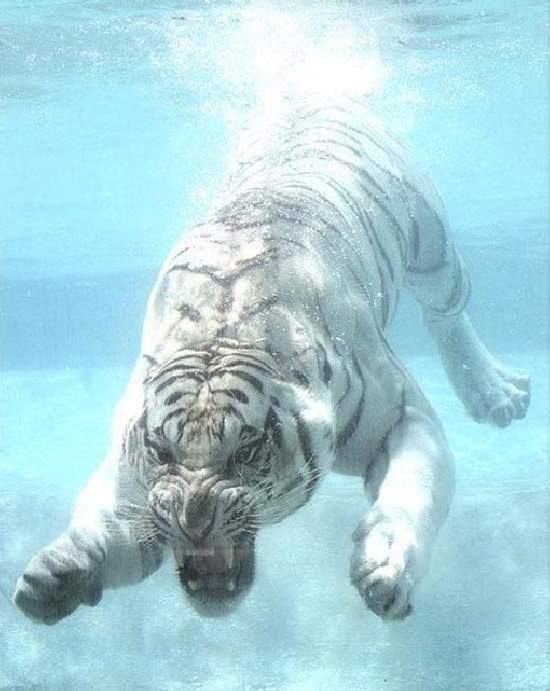 He is a gorgious White Bengal Tiger big cat that is as much at home in the water as he is on land! Odin is six years old here and 10 feet long from tail to nose. 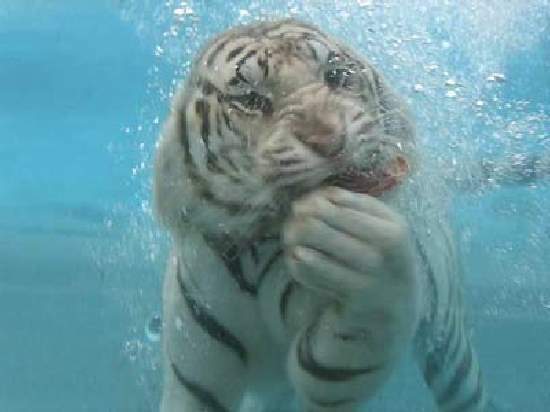 He lives at a Zoo in Vallejo, California, near San Francisco. 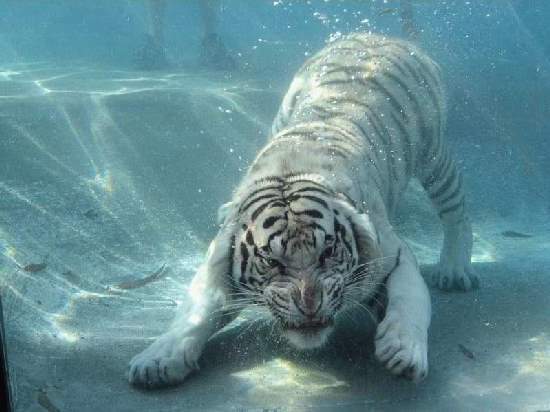 Although Big Cats generally do not like water, tigers of all types have been spotted taking to the water to hunt and even to bathe for pleasure. Here Odin is sucking up to his British trainer Lee Munro. Odin was hand-raised at the zoo. And after he was weaned, his British trainer Lee Munro discovered his remarkable skill. 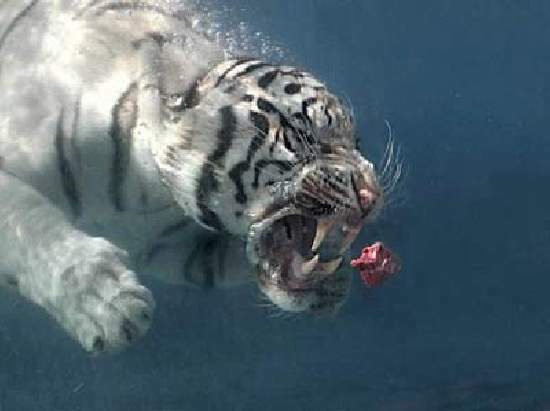 When a lump of meat was thrown into a pool of water, Odin would happily dive in after it. 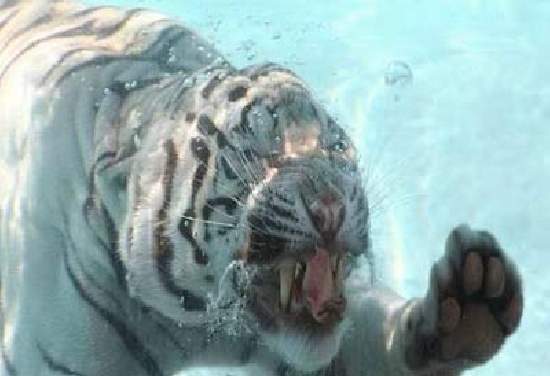 Not all big cats enjoy the water but for Tigers from the hot climate of South-East Asia it's one way to cool down. 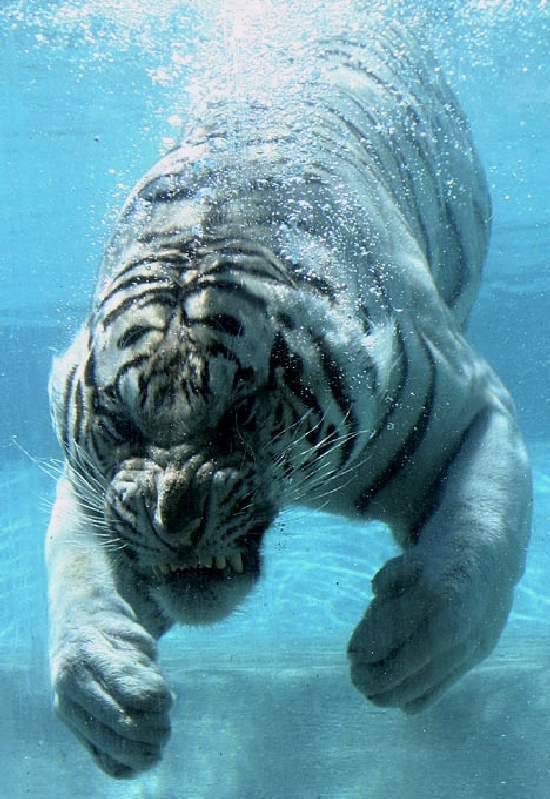 Munro said tigers were the most powerful swimmers out of all land-dwelling animals. 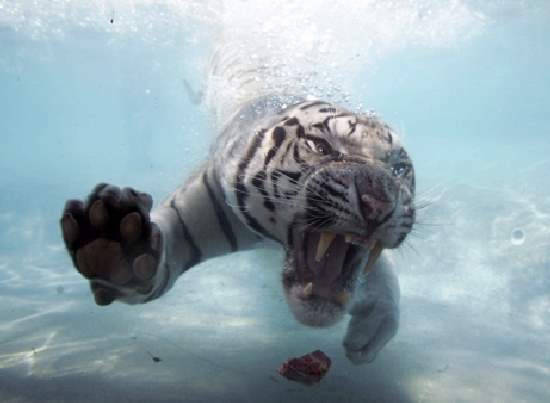 Tragically, within our lifetimes, zoos might be the only places left to see these magnificent animals. 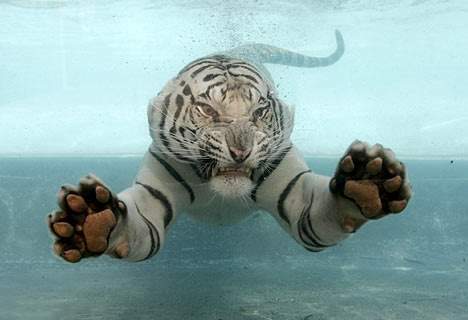 A century ago there were about 100,000 tigers in the wild. 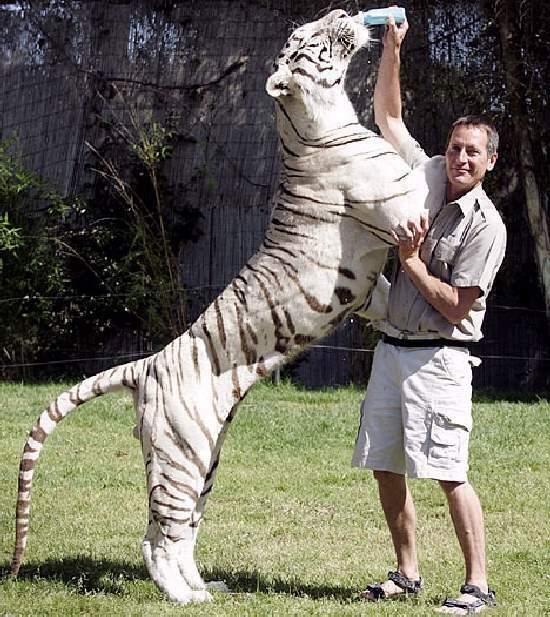 Now there are just 2,500 adults, with the Bengal variety almost extinct. 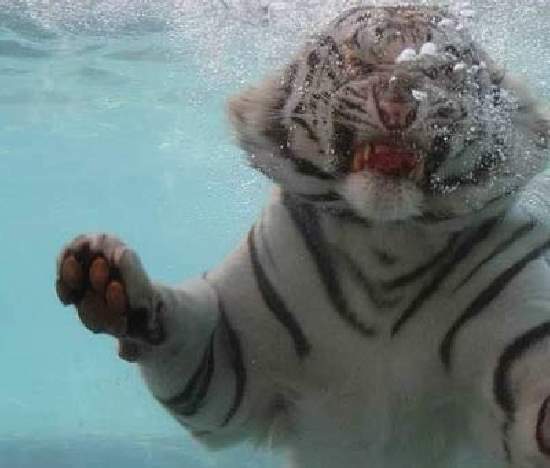 None has been seen in the wild since the last white tiger was shot and killed in 1958. 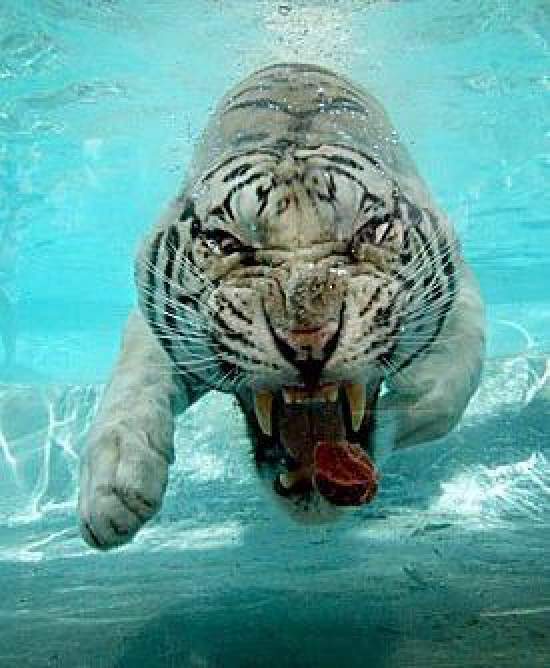 White tigers are the most rare. They get their whitecolor from an unusual and extremely rare genetic combination.